Blackness of the night sky, with the faint velvet sheen, falls over this egg in gentle ripples that seem to be reminiscent of rolling snow dunes in the midnight hour. A scattering of crystals dance their fiery path across what perhaps is the sky. Or perhaps they are not stars at all but snowflakes, doing their slow twirling jig about the landscape below. Whatever it might represent, this warm egg is hardly for boding, but rather inviting, almost tempting as you can see the faint tracework of a snow angel at the hidden base corner of it, adding a bit of childlike amusement to a truly elegant picture. A thin incision divides this medium-sized orb into two uneven sections— a trail of light, crystal bright, a curious division at the best of times, and now only more startling with both sides so much darker. One, the larger portion, boasts the unwelcoming blackness of a hole punctured through the night's sky where no stars dare tread. Mostly dark, there is yet some variation in the hue— darker grays amongst the raven. The other quarter or so is rather lighter, though nothing compared to the brightness that halves the twain. Ashen and drab charcoal— frankly, nearly as exciting as gravel— mark that portion, but for darker splotches of varying sizes, as if the shell has been pockmarked. Darkest shades of blue, green and turquoise cross and blend over the shell of the near-black egg, different shades drifting and blending almost indiscernible except for the faintest difference in gradients visible in the right light. A pattern of waves, seeming bulge after bulge march their way across the shell in an ever repeating pattern; but though each looks similar, tiny differences interrupt the pattern: a flick of white here, like foam, a patch of perfect blackness which could resemble some mammoth animal hidden just beneath the surface. As the shell is turned, the picture never seems to change no matter from what direction its viewed, and yet, just looking at it twice in the same viewing it may appear to change. Deepest darkness of unholy terror seem to swirl about this coldest of eggs. A touch of the shell reassures that it is indeed warm, and yet there is an aura of chilling sensations surrounding the barest contact with flesh. 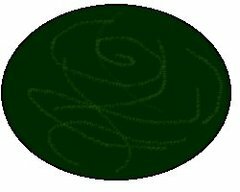 Green tendrils of sickly smoke seem to filter through a swampy canopy in a manner of a dark ghost slipping up from an oozing bubbly grave in the murky depths of the dark egg. The texture of this most foreboding egg's shell is almost bubbly to the fingertips…. and not in a nice way. All and all this egg seems to be the one that most avoid and those few that touch it step away with the chill of icy tendrils still holding their mind. Veils of soft moonshine on silver, drapings of shimmering night starshine wrap this egg. To follow the subtle lines of color within the shell it is hard to see where one shade of palest blue blends into a lightest mint green and then on to the sheerest yellow. The moons must give this egg light source as it seems to glow from its lowly place on the sands, your desire to fling it to the sky so it might live with its other two sisters of the night almost overwhelms you. And yet its soft sleek touch also desires you to curl about it, feeling the shell against you, taking in its texture against skin. 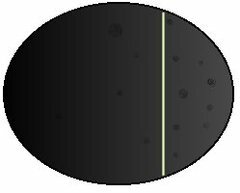 Blackness hugs the contours of this egg almost thoroughly. Shadows retreating into the night's darkness. 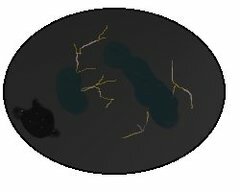 The purest of blacks is the base colour of this small egg, flurries of white snow falling from darkish grey clouds to mar its surface. The snow flurries seem to dance in the heat waves of the sands, covering the egg slightly like a light blanket. Even amongst the heat of the hatching grounds, the snow remains solid, never faltering, falling softly from the night's sky. It's almost as if you could take cover, hide from the heat in the cool snow of the egg. 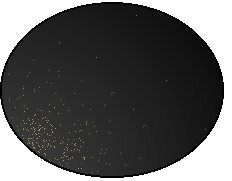 Perfect blackness, marred by not even a tiny speck of any other color, not white nor any shade or hue of blue or green like many other eggs. Though large enough, the imposing visage of the total blackness atop the sands makes it appear all the much bigger, dwarfing the smaller egg resting by it. Taking a prominent position near the center of the clutch and its guardian dam, it seems to be constantly in shadow, or perhaps it absorbs all of the light around it to create its own area of shadow… but one thing is certain, any light is rare to be found reflected off its matte black surface. But just the barest flashes of sunlight, here and then gone, sends the unique pattern hidden on this egg flaring to life then back to darkness: an iridescent sheen, like oil, coats its dark shell, totally invisible except for in the rare case of direct light flashed across it at just the right angle. Darkness that holds no danger caresses the fullness of this smooth ovoid. The landscape that it might display is lost to the darkness of evening with only the dusting of tiny stars reflecting the cavern's multitude of colored lights. A wisp of smoke rises from somewhere unseen tracing a tiny veinwork of silvery feathered white across the night softened surface. Following the trail of milky white, leads the eyes around towards the far side of the egg… the side that leaves it nestled up against another egg and hiding something wonderful. The oriental belief is that all moons are good, but the August moon is a little older, and a little wiser. And that is what lies before you, its full glory hidden by its siblings but peeking from behind its siblings is the perfect roundness of an amber moon, floating over the horizon. Black covers much of this egg, bathing it in shadows. Silver streaks fall from clouds of thread, seeking out things to destroy. A flash of green and blue as two dragons work together to catch a clump that the bronzes and browns have missed. 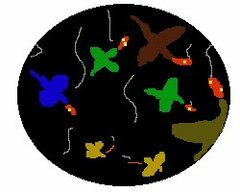 Dragons covers the darkness in patches of colours. A bronze flies upwards to assist a wounded brown whose body is arched in agony. Oh how can this egg seen so wrong? Or so real? Golden queens line the bottom of the egg, bright flares of reddish orange as they use their flamethrowers to destroy missed clumps. 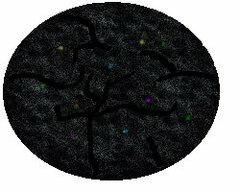 As the egg is turned, you can see the ground crews on the bottom of the egg, the dragonhealers standing in a clearing. What a picture this egg paints in your mind. The sky lit up with dragons' flames spouting forth from greens and blues, browns and bronzes. Smaller coloured forms can be seen, are they firelizards? Assisting the riders? For many, this makes one stop to think about what this scene must have been like…A nighttime threadfall, what a rush. 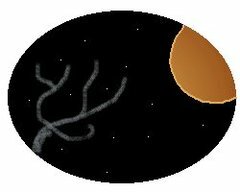 It seems to be that a base of pure black coats this largish egg, easily as black as the darkest pitch, or perhaps its more the shade of a shadow absolutely devoid of any traces of night. But upon closer inspection, tiny imperfections in the color are revealed, barely noticeable overall but startlingly apparent when taken one at a time. Miniscule dots of dirty, grey-toned white seem to swirl over one side of the egg, coalescing into a seeming vortex of white near the bottom, which is partially hidden by the sands in which it rests peacefully. The white dots seem to radiate out form this pattern, spreading out thinner and thinner over the bottom quarter of the shell until they seem to vanish altogether. While not one of the more active eggs on the sands, it has a feeling of solidarity in the way it stands alone towards the outside of the clutch that can be rivaled by few others. Tumblings of red orange and blacks stretch over the top of this egg. The streaks of fuchsia and whitish grey dance across its darkened face, fading into nothing. Day traveling into night is what its colors remind you of. The sharp colors of day, flows , softens into the colorless night. Rolling darkness, murky grey on black, looms intimidatingly over most of the eggs in the clutch. Gradients of dark grey piled atop the black seem to give it a fluffy appearance, but its just that - and appearance. For when taken as a whole, the egg presents a rather menacing figure, of secrets and silent menace. Shot through teasingly around the layers of grey are tiny forks of golden-silver lightening touched with an electric purple, veining the shell like cracks, though a judicious touch would prove them to be just as solid as any other portion of the huge ovoid. In none but one place are the roiling dark shades interrupted: perfect black mars it in one tiny patch, speckled with the faintest spots of white which seem hidden and dominated by the menacing clouds, but proving that perhaps the threat implied by the pattern is not what it appears. Darkness encompasses this egg like a warm velvet cloak. A faint haze of silver fog dances over the surface in such a manner as to add an almost mysterious air to the great object as it defines darker veins of pure midnight. The veins rise in majestic arches, like stag horns … or branches bare of leaves, perhaps spring has just arrived or perhaps the mist is truly as snow and you look upon winter itself, cold and barren. It is a flash of light though that catches your eyes and hold them. 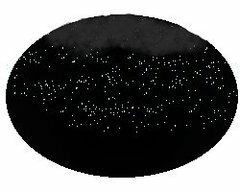 The colored lights of the hatching cavern offer only a hint of where that light came from, but when looking again, the glowing light upon the smooth egg is gone. A play of the light? Perhaps…. 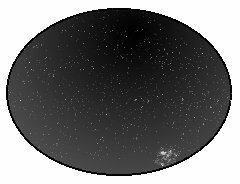 there it is again, in another place on the large night dark egg… and another… leaving an almost comet trail of pixie dust behind it. Deep greys cover this blackened egg, dancing and swirling strongly over its form. Smallish, is this egg, but what it lacks in size, it makes up in fierceness. Bright lightning flashes across its surface, crystal-white slate mars the black and grey as it falls coldly. Clouds swirl and dance across the shell, seeming to be in constant movement. No moon can be seen in this night sky as it is obscured by the dark looming clouds. Rain pours on the opposite side of the sleet, lightning making cracks over the smooth shell. What is it that is so frightening about storms? White and black fight for position in the middle of the egg. Below…a lightning strike starts a fire in a dry forest, dark smoke and bright fire covering the bottom of this egg. There is no calm in a storm like this one. Quiet tones of grey and black reach across this strange egg, causing an odd shadowlike effect. The light falls upon the quiet ovoid, reflected back in soft, dark tones, and the quiet shell seems to have not much left to offer. Slowly, your gaze moves on, only to be caught by what appears to be a motion. Looking back, you see a soft flash, a flicker, perhaps a trick of the light. As you inspect the strange egg however, you see another, and yet another, reflections of light, or perhaps… something more. Slowly they appear, colors of midnight blue, fiery golden red, splashed with the deepest bronze and brown, and ghostly green. They dance and twirl, seemingly coming from the very depths of the egg itself, only to retreat quietly at your gaze. Always they play, just within sight, yet never quite close enough for you to focus on, and the harder you look, the more the strange flashes of light seem to hide. 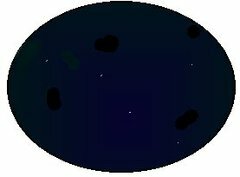 Black as midnight, this egg seems to stand out for no other reason then its dark, shadowy form, surrounded by its more colorful clutchmates. Inky black depths seem to hold your attention, but somehow compel you to look closer. As you do, you realize that the true treasure, like the egg itself, lays within, for upon closer inspection you note deep within the reflections of blackness, lay pearls of color. Gems of greenest jade, spheres of polished amethyst, golden orbs, and quiet, proud bronzed aggregates greet you, moving and seeming to shift, one to the other. As your gaze moves on, they seem to expand and contract, playing silently within the depths of the placid darkness of the egg, until they meet quietly in the center, all of them fusing to form a single, cohesive whole. A pearl of reflection, its starry rainbow of light seeming to flood your vision with color and beauty almost impossible to comprehend. And then, just as quickly, its gone, leaving you gazing quietly into the empty blackness that originally attracted your attention. A trick of the light? Or a prelude to what treasure lays within? Hints of gold, blue, bronze and brown splash across the center of this egg in a kaleidoscope of color and motion, mixed in with hues of darkest night that start on either pole, only to fade gradually as it approaches the eggs midsection. 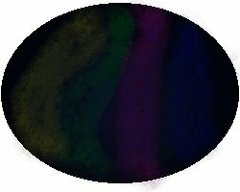 Light from the hatching grounds shine down over the strangely attractive ovoid, causing it to glitter lightly, almost making it appear as if the multitudes of colors were slowly cascading over the entirety of the egg itself, specks of color sparkling and glimmering in the quiet light. As your gaze moves on, you catch a flash of green, a soft shimmer that seems to cover the whole egg but for the briefest of instants. 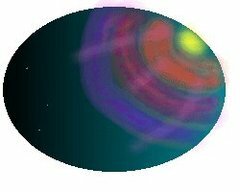 Then again, perhaps caused by some trick of light, for study it as you may, you can detect no green tones amongst the swirling vertices of color that covers the egg. Fine streams of silver seem to surround this egg, splashes of quiet midnight encircling it in a pillowy embrace. Shadows of motion and soft hits of gentle breezes seem to flow and shift as you examine it, as if the light cant quite make up its mind, gathering strangely toward the center of the egg, forming a silvery glow, only to be refracted out into thousands of silvery threads, spreading and glimmering over its convex surface. 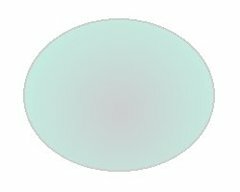 As you move along, the egg simmers softly, almost in response to your motion, light and darkness colliding to create an almost disorienting three dimensional effect, the indistinct spherical glow seeming to emanate from the very center of the egg itself.